Welcome to the Mount St. Helens National Volcanic Monument Information Page. Follow Spirit Lake Memorial Highway to destination! Turn right to stay on Glenoma Rd. Turn left at Champion Haul Rd. After many months of lead-up activity including earthquakes, an enormous bulge forming on the north face of the mountain, and minor landslides and mudslides, Mount St. Helens catastrophically erupted on May 18, 1980. The eruption was triggered by a magnitude 5.1 earthquake, which caused a massive collapse of the bulge on the north face. The resulting flow was the largest debris flow in recorded history, and as the land gave way to the pressurized rock below, the magma within the mountain burst forth in an eruption that devastated the surrounding landscape, killed 57 people, destroyed over 185 miles of highway, and reduced the height of the dome by about one third. 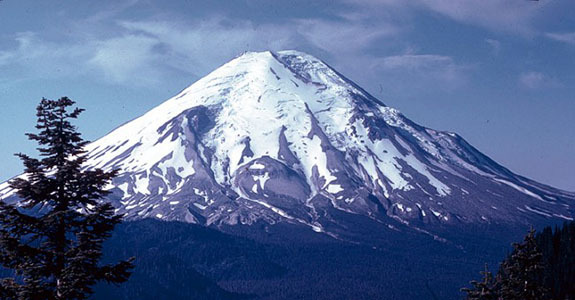 In 1982, President Ronald Reagan and the US congress established Mount St. Helens National Volcanic Monument within the Gifford Pinchot National Forest. Since the eruption, the area has been left to recover naturally. Mount St. Helens is one of the most active volcanoes in the Cascade Range. The Cascade volcanoes define the Pacific Northwest section of the Ring of Fire, a series of volcanic regions that rim the Pacific Ocean. The Ring of Fire is known for its seismic activity, and both the volcanoes and the earthquakes are a result of the same process: subduction. In the case of the Cascade Range and Mount St. Helens, a dense oceanic plate plunges underneath the North American Plate. As the water saturated rock is drawn towards the earth’s core, the heat and pressure cause the water molecules embedded within the rock to escape. As the water vapor rises into the more pliable mantle above the subducting plate, causing some of the mantle to melt into magma. This magma rises towards the earths surface to erupt, forming the Cascades above the subduction zone. The blast killed an estimated 7000 large mammals like deer, elk, and bear. Most birds and small mammals (excepting burrowing mammals like marmots) were killed in the blast, along with about 12 million chinook and coho salmon fingerlings and about 40,000 wild young salmon. Over time, many of the wildlife populations most devastated by the eruption have returned. The mountain is host to returning populations of Roosevelt Elk, Columbia Black Tailed Deer, and Mountain Goats. Many smaller mammals such as marmots and squirrels have returned to the mountain. The changed landscape created hundreds of small ponds, which were slowly populated with insects and amphibians, and the streams are now host to populations of returning fish. Bird populations have largely recovered, nesting in the dead trees and fertilizing the nearby ground. Within the blast zone to the north of the dome, plant recovery has been slow to take hold in the nutrient poor soil. Outside the blast zone, forests of Douglas Fir, western red-cedar and noble fir, along with red alder, maple, and cottonwood remain. Within monument boundaries, nature is being left to take its course. Over time, observers have witnessed a gradual but unmistakeable “greening” of the landscape, with young groundcover slowly taking root in the soil. Experts predict a healthy young conifer forest by mid-century, and an ecosystem similar to the pre-blast ecosystem in roughly two centuries. Hiking comes in great supply at Mount St. Helens. More than 500 miles of trails traverse the rich and diverse landscape. Lava Canyon offers offers the excitement of a rushing waterfall and a suspension bridge, while Norway Pass offers a breathtaking view of Spirit Lake and the lava dome steaming in the distance. The Eruption of Mount St. Helens on May 18, 1980 drastically altered the surrounding landscape. The north side of Mount St. Helens contains the best opportunities for hikers to experience the effects of the eruption. The lush forests that flanked the northern slope of the volcano has become a barren plain of ash deposits and blown down trees. Hikes through the blast zone allow visitors to observe the devastation caused by the eruption, but also show nature’s slow response and regrowth. The Green River trails allows hikers to walk the thin line that divided life from death on May 18, 1980. Three distinct forests are found in this region: a young forest planted after the harvest of trees downed by the eruption, a standing dead forest killed in the blast, and lush old-growth forest that survived the devastation. In addition to hiking, the lakes of this region provide good fishing opportunities for anglers. Green River Trail 213. This 12 mile trail offers an opportunity to travel from the blast zone through standing dead trees and into a pristine old-growth forest. In the 1890s this route was blazed to access mining claims along the Green River. Start at the Green River Horse Camp and travel through a young forest planted after the Eruption of 1980. Following close to the Green River, the trail passes through a grove of standing dead trees before entering a magnificent forest of old-growth. This trail eventually meets Vanson Ridge Trail 213A which connects to Goat Mountain Trail 217 in 3.3 miles. The Green River Trail terminates as you re-enter the blast zone and connect with Weyerhauser Road 2500. Weyerhauser Timber Company controls access to this western trail terminus. Mount St. Helens Visitor Center at Silver Lake is located 5 miles east of Castle Rock on the shores of Silver Lake. This center inroduces visitors to the history of the mountain, and the eruption of May 18th 1980. Visitors may walk the 1 mile Silver Lake Wetlands Trail and learn how this lake was formed by a previous eruption, and how aquatic life continues to change the lake up the present day. Services include a 16 minute theatre presentation, interpretive exhibits, a staffed information desk and book sales. Coldwater Ridge Visitor Center is located within the boundaries of the National Volcanic Monument and is subject to winter conditions. Snow depth may determine outdoor opportunities. Services in the center include a video presentation, interpretive exhibits, staffed information desk, and a restaurant. The restaurant offers a limited menu during the winter months. Cowlitz Valley Ranger Station is located 1 mile east of Randle on Highway 12. Stop here for ingormation on winter recreation and facilities in the Cowlitz Valley District and the Mount St. Helens Volcanic Monument. Books and videos are available for purchase here. Blast Edge Viewpoint is a place to pause and consider the effects of the blast. Marvel at the standing dead trees that mark the edge of the lateral blast zone, 6.5 miles west of 25/99 junction. Monument Headquarters is located four miles north of Amboy on State Highway 503. Monument and Forest info is available. Books, maps, and other media are also for sale. The weather of Mount St. Helens is generally typical of the climate in Western Washington. This climate is characterized by warm and dry summers and wet winters. The best time to visit Mount St. Helens is during the warmer months from May through October. Most snow is off most trails by June, but late snowpack into July is not uncommon, and the highest trails can have snowpack year round. Summer storms at Mount St. Helens are not uncommon, so visitors are encouraged to always be prepared for rapid weather changes and rainy windy conditions, especially at higher altitudes and remote areas.